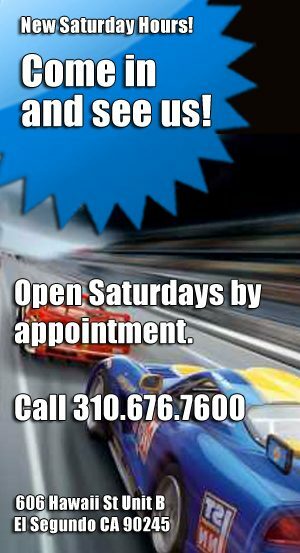 Limited time sale on the wild Greenwood Corvette. 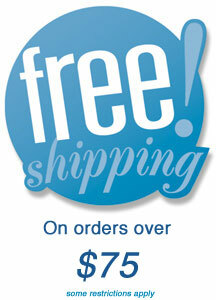 $10 off for one week only. One to a customer, No dealers. 1/32 scale slot car, ready to run on all 1/32 scale non-digital tracks. Riverside IMSA, 1975. 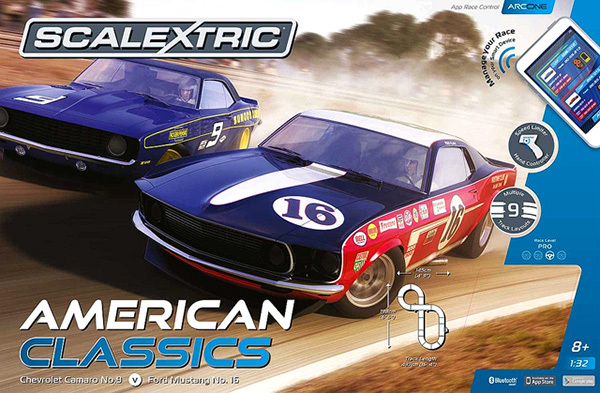 Early Christmas shopper’s best deal: One of most popular Scalextric sets pitting the Trans-Am Camaro against Trans-Am Mustang, will be available for just one week at this very special price. No dealers. 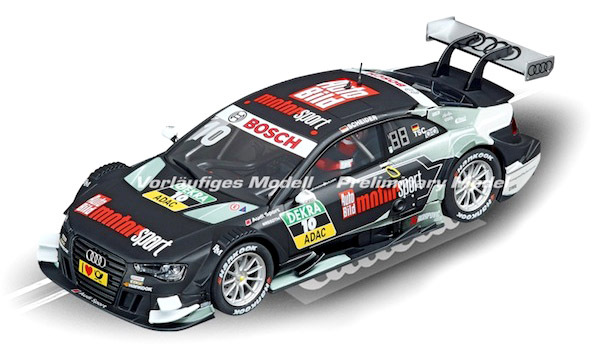 We just received the latest Carrera analog DTM car so you can order yours now. Marvel at the sophisticated black exterior of the Audi RS 5 DTM in which Phoenix Racing Team’s Timo Scheider is driving this season. The powerful V8 induction engine produces 493.16 hp beneath the hood of this top notch racer – the successor of the Audi A4. Because all the DTM racing cars are based on serial production vehicles, the RS 5 DTM is like the Audi A5. The ‘Auto Bild’ logo of the motor racing magazine gives the otherwise completely black painted car a very special look. Your Christmas red Mustang is coming from Pioneer. They are making a few of these metallic red 390GT Mustangs with gold trim and the Santa, elf and snowman figures are included so you will want to per-order yours now. Pioneer P037 Mustang 390 GT, ‘Santa’s ‘Stang’, 2017 edition (red)—PRE-ORDER NOW! 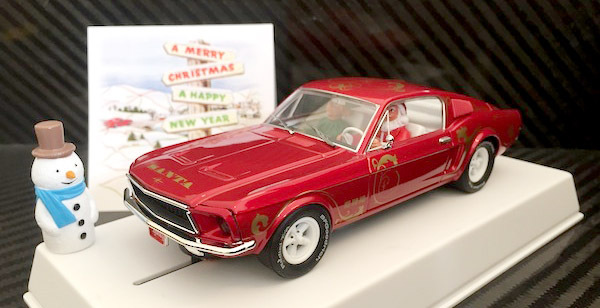 It is reassuring to know that all Christmas gifts will be delivered on time this year because Santa Claus has new transport – a fabulous Mustang 390 GT in metallic red – Santa’s ‘Stang! Finely modelled by Pioneer, this slot car looks perfect painted in a deep metallic red. New character figures for this model include a driving Santa Claus, helper elf ‘Vulron’ in the passenger seat and an additional extra of ‘Mister Frosty’ the snowman standing to the side. All the usual Pioneer signatures are on this model; fine detail inside and out, top quality decoration, custom packaging and this one also has the Xmas ‘Wow’ factor. Another nice touch is the Christmas card, tucked inside the outer packaging. 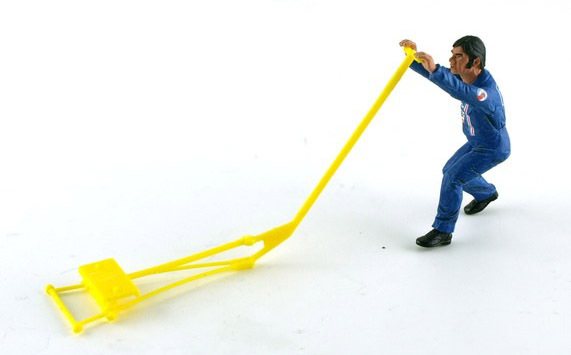 Every slot car enthusiast needs one of these under the tree this Christmas! 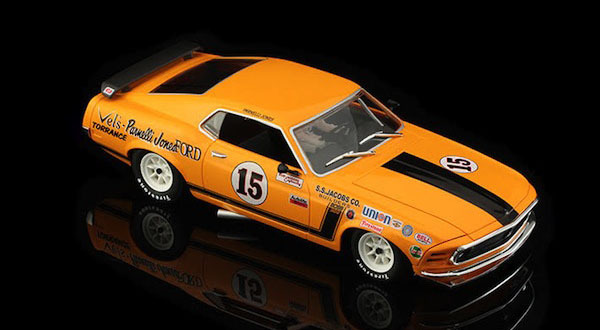 Eight 1/24 scale Trans-Am Mustangs and Camaros are on their way from BRM. Be sure to get yours by pre-ordering now. 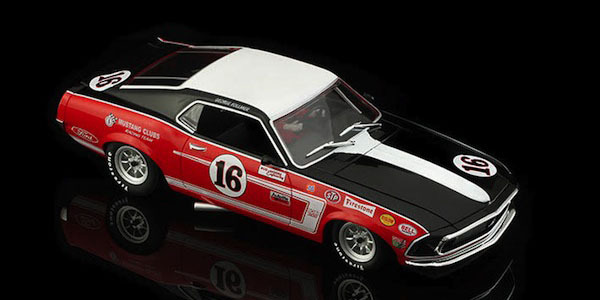 ScaleRacing/BRM069 1:24th scale Penske Camaro #9—PRE-ORDER NOW! Assembled in Tacoma, Washington, USA with alumni um anodized chassis 3mm thick, ball bearings, aluminum wheels and axle holders, BRM “Black” (25,000 rpm, 325g-cm) motor, 38-tooth spur gear, 11-tootdh brass pinion. 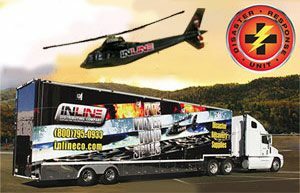 ScaleRacing/BRM070 1:24th scale Lennox Camaro #76—PRE-ORDER NOW! Assembled in Tacoma, Washington, USA with alumni um anodized chassis 3mm thick, ball bearings, aluminum wheels and axle holders, BRM “Black” (25,000 rpm, 325g-cm) motor, 38-tooth spur gear, 11-tootdh brass pinion. Ready to fit digital chip. 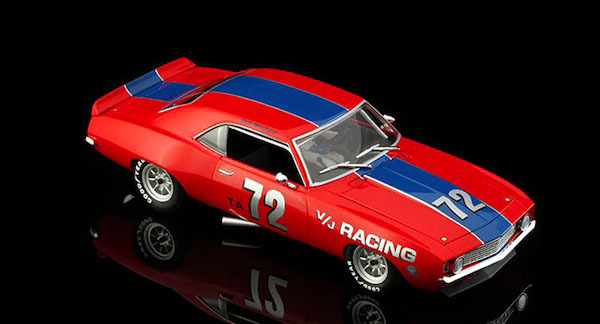 ScaleRacing/BRM071 1:24th scale VR Racing Camaro #72—PRE-ORDER NOW! ScaleRacing/BRM073 1:24th scale Mustang Boss 302 #16—PRE-ORDER NOW! ScaleRacing/BRM074 1:24th scale Mustang Boss 302 #11—PRE-ORDER NOW! ScaleRacing/BRM075 1:24th scale Mustang Boss 302 #15—PRE-ORDER NOW! 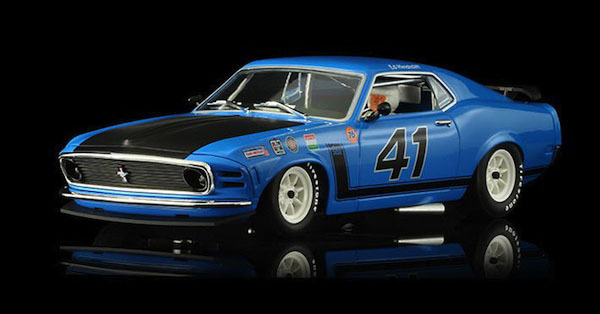 ScaleRacing/BRM076 1:24th scale Mustang Boss 302 #41—PRE-ORDER NOW! 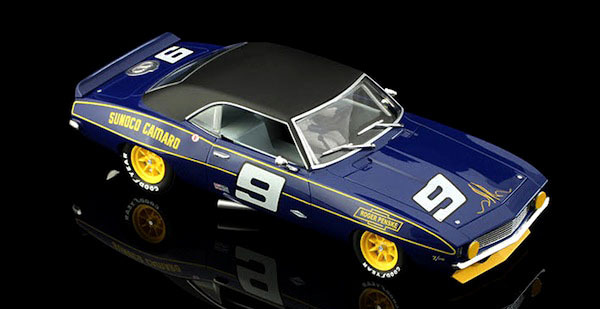 Five new 1/32 scale cars coming from NSR. 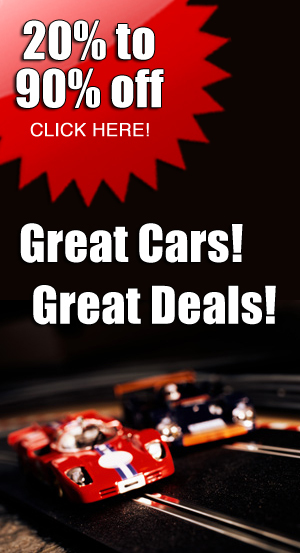 The Audi R8 and BMW Z4 are available with either anglewinder or sidewinder motor pods. 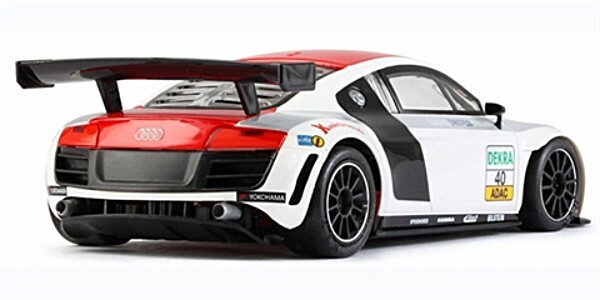 NSR0051AW Audi R8 ADAC GT Masters #40 ANGLEWINDER—PRE-ORDER NOW! NSR0051AW Audi R8 ADAC GT Masters #40 ANGLEWINDER. 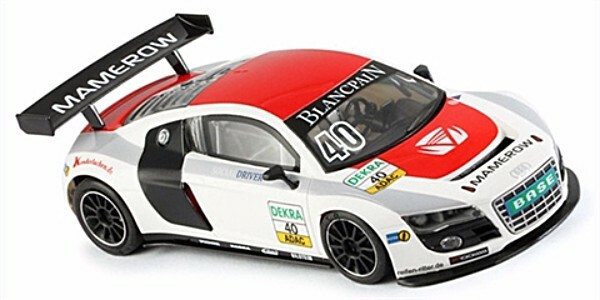 NSR0051SW Audi R8 ADAC GT Masters #40 SIDEWINDER Shark 25K—PRE-ORDER NOW! NSR0051SW Audi R8 ADAC GT Masters #40 SIDEWINDER Shark 25K. NSR0050SW Ford GT40 Mark IV Revival #16 SIDEWINDER Shark 20K—PRE-ORDER NOW! 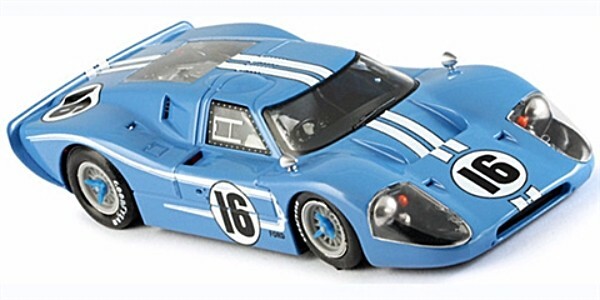 NSR0050SW Ford GT40 Mark IV Revival #16 SIDEWINDER Shark 20K. NSR0045AW BMW Z4 Silverstone #36 ANGLEWINDER—PRE-ORDER NOW! NSR0045AW BMW Z4 Silverstone #36 ANGLEWINDER. NSR0045SW BMW Z4 Silverstone #36 SIDEWINDER Shark 25K—PRE-ORDER NOW! NSR0045SW BMW Z4 Silverstone #36 SIDEWINDER Shark 25K. 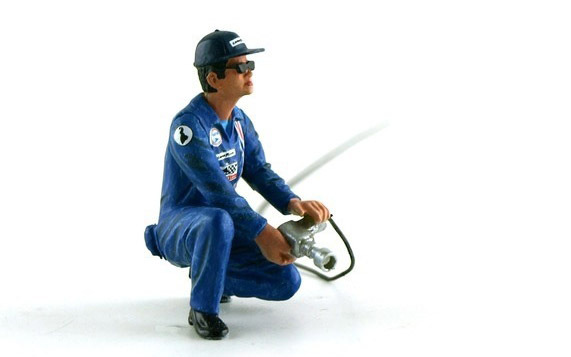 Three new pit crew figures are coming from Le Mans Miniatures to compliment those new Slot.it Matras. You can pre-order yours now. 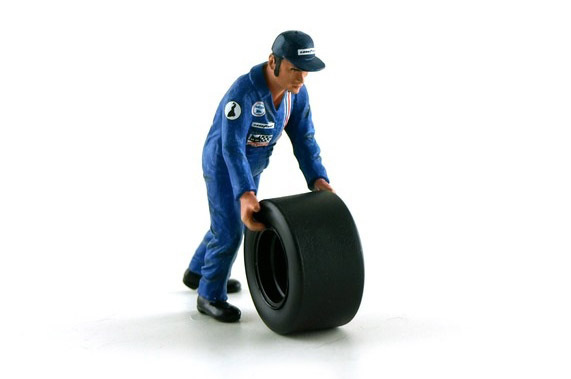 FLM132039M Team Matra 1974 Dominique, wheel mechanic—PRE-ORDER NOW! In 1974, the Matra team is not any more dressed in orange and yellow but in blue monochrome combinations highly decorated with sponsors on the breast and in the back. Cast-resin hand-painted figure from France. FLM132040M Team Matra 1974 Francis, wheel carrier—PRE-ORDER NOW! Matra’s season 1974 has blue uniforms because the main sponsors are Elf and Gitanes. Cast-resin hand-painted figure from France. In 1974, the same 1973 Matra team returns to Le Mans, this time dressed in blue coveralls ; the colors of the team but also the new sponsors of the French brand, which are Elf and Gitanes. Cast-resin hand-painted figure from France.